The impact of social media transcends almost every aspect of our daily lives—work, politics, breaking news, and more. Today, it’s almost universally used—by consumers and brands—and is one of the most effective channels to connect with your audience. Social media marketing offers marketers a vast opportunity to engage with their buyers, across the entire customer lifecycle, on the platforms they actively tune into for information. It's critical that, as a marketer, you know how to leverage social media marketing to build your brand, drive demand, and engage your buyers. 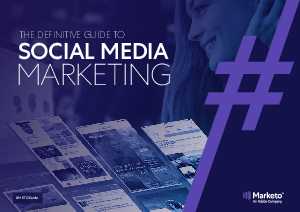 This comprehensive, 90+ page guide is full of checklists, worksheets, advice from over 15 industry thought leaders, and examples to help marketers at any level, from beginner to expert, create and implement an effective social media marketing strategy.